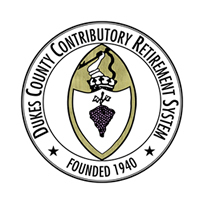 Since 1940, the Dukes County Contributory Retirement System (DCCRS) has provided retirement, disability and survivor benefits to the public employees and retirees of its 15 member units. Currently, the DCCRS is comprised of approximately 875 active employees, 350 retirees, and 200 inactive members. The DCCRS, is one of 104 public employee retirement systems in the Commonwealth of Massachusetts, administering benefits and operating under Chapter 32 of the Massachusetts General Laws. This is a defined benefit plan that operates as a qualified employer plan under Section 401(a) of the Internal Revenue Code. Retirement counseling helps members to understand their rights and responsibilities as members of the system. Counseling is provided to all members by appointment. This provides our members with a better understanding of retirement benefits available to them. It includes estimates of their potential retirement allowances and a review of service and salaries to date. To schedule an appointment, please contact us at (508) 696-3846. Membership in the DCCRS is required by law for all permanent employees. Permanent employees must be regularly employed in a permanent position for a minimum of 20 hours per week AND earning a minimum of $5,000 per year. Temporary employees must be regularly employed in a position for a minimum of 20 hours per week for a period of six consecutive months, AND earning a minimum of $5,000 per year. Upon establishment of membership, members are allowed to purchase certain eligible prior non-membership service. Please note: Employees of all member units of the DCCRS who are employed less than 20 hours per week are ineligible for membership. Likewise, employees, elected and appointed officials of all member units who earn less than $5,000 per year are ineligible for membership. Ineligible members must contribute to a deferred compensation plan or other similar plan under the Omnibus Budget Reconciliation Act (OBRA). Please see your Treasurer or Benefits Administrator if you have questions.